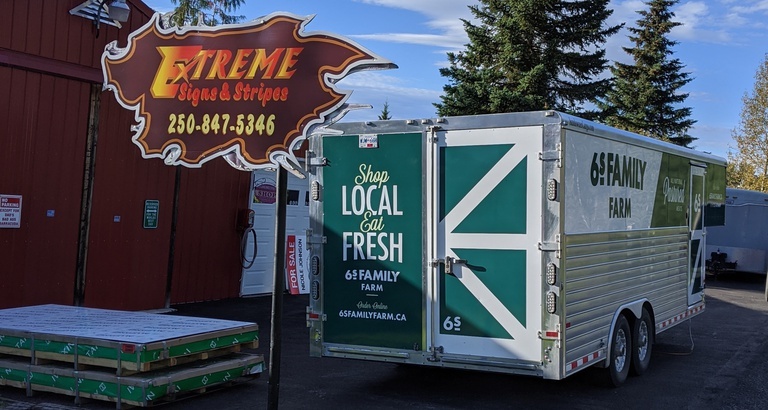 Extreme Signs & Stripes is a locally owned and operated family business in northwestern British Columbia that specializes in professionally designed and created custom signs, decals, vehicle wraps, banners and more. We create computer-generated, photo-quality signs, billboards, banners, lettering and graphics in any size, shape and colour, including reflective vinyl in all grades for either your business or personal needs. 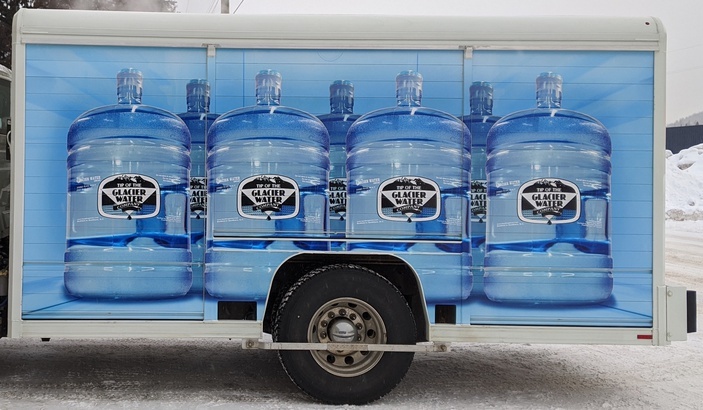 Our decals can be placed on vehicles, windows, boats, trailers, heavy equipment, ATV’s, snowmobiles, skis, hard hats, you name it! We can also install perforated window films, static cling, and etched glass textured vinyls. We produce signs on a variety of substrates including aluminum, alupanel (bonded aluminum), coroplast and magnetics. Our 54” Wide Format equipment (digital printer, cutter and laminator) allows us to produce high durability signs using Ecosolve UV inks which are ideal for exterior signage. We also utilize a shear for cutting substrate and can round corners on substrate if required. We cater to all types of customers, whether it be corporations, government agencies, other family-owned businesses or individuals. We take pride in ensuring our customers are pleased with a high-quality end product. In fact, a large part of our customer base is made up of repeat customers. 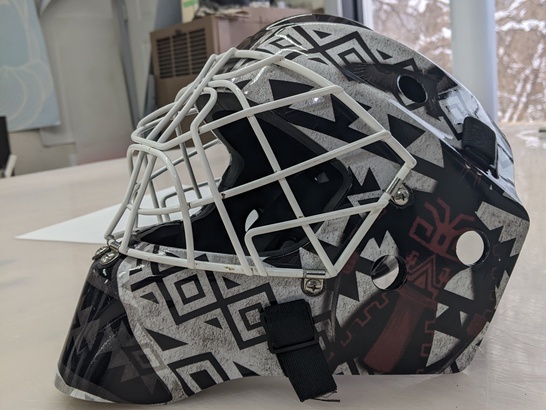 The quality of work in which we hold ourselves to has made large companies such as Huckleberry Mines, Pretivm Resources, Altagas and Canadian Forest Products as well as government agencies such as the Ministry of Forests, Lands and Natural Resource Operations take notice. We can create signs that follow Ministry of Transportation specifications or customize something special just for you! We also sell plastic and metal A-frame stands in a variety of sizes with removable custom inserts that can be placed outside. We understand that quick turnaround time is important, and we take pride in our reputation for providing quick, friendly service to our customers. We offer extended hours outside of our regular working hours to ensure you have what you need when you need it!